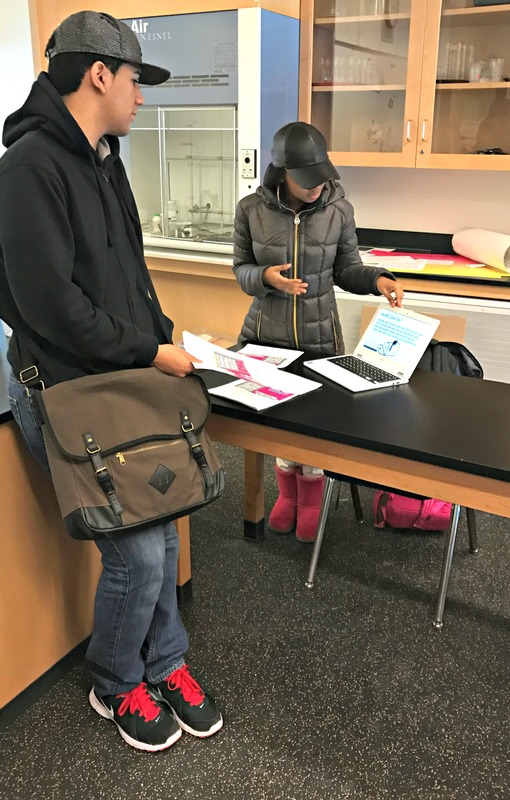 Presentations of Learning and Leadership (PLL) happen at the end of each semester and are an opportunity for students (and staff!) 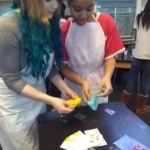 to share what they’ve learned with our community. 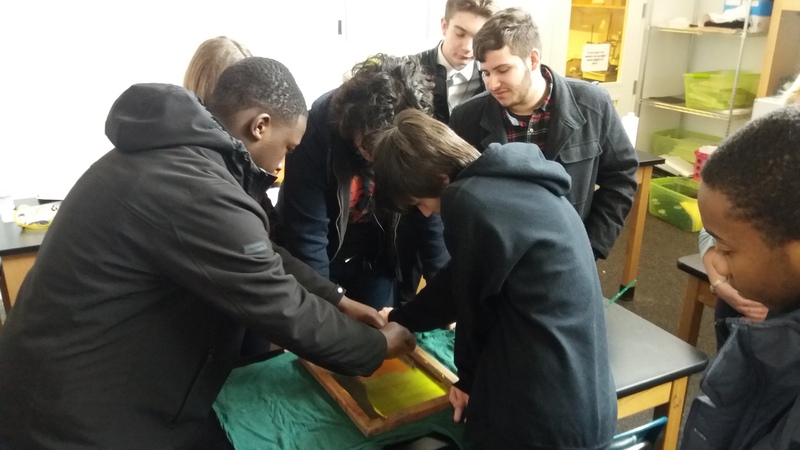 Most sessions are student-led and focus on end of semester presentations and projects from classes, after school programs, and our Green Jobs Corps employment program. 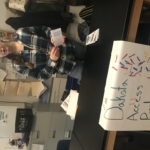 More and more, students are taking the initiative to lead PLL’s of their own making that give them an opportunity to highlight and teach peers about issues or skills that they care about. 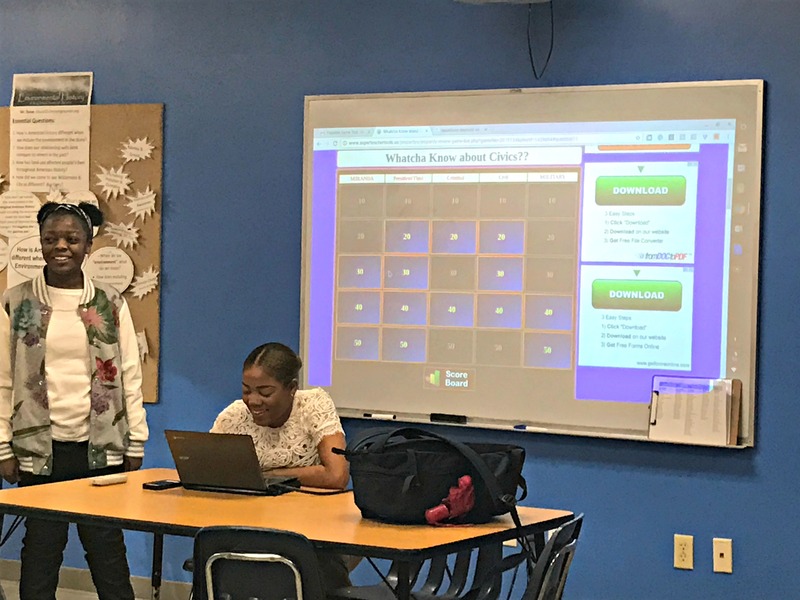 Staff also have a chance to share skills or gather input from students on school issues that require student guidance (such as next year’s schedule change). 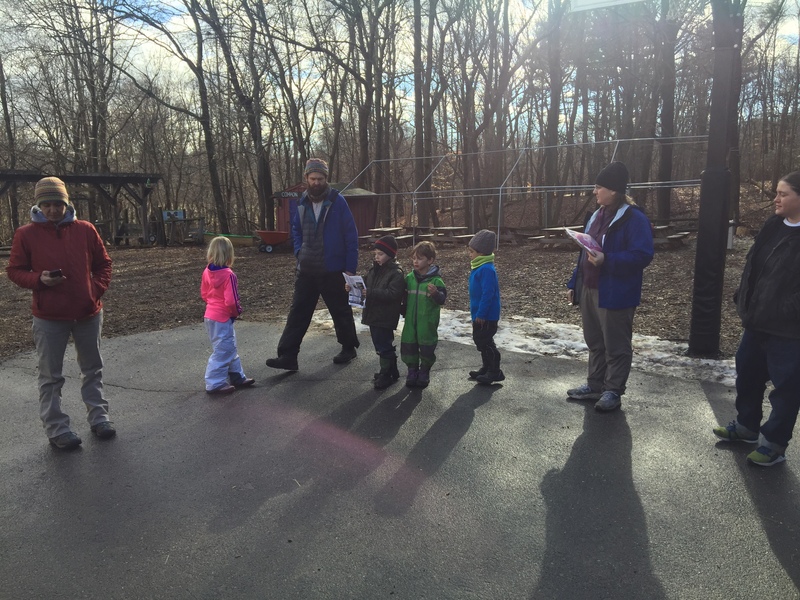 This year we even had young program participants from our Nature Year program lead a tour into the outdoor classroom. 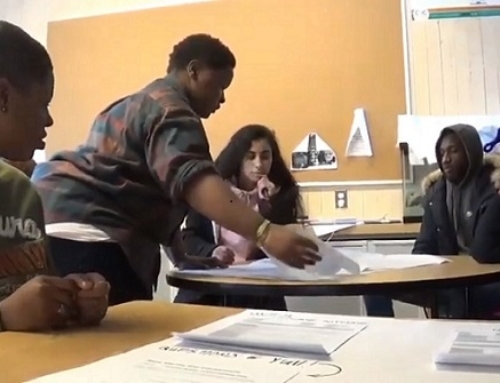 PLL’s are an amazing opportunity for us to learn together and from each other, flipping the script on who gets to be the student and who gets to be the teacher! 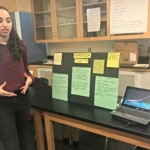 Science of Social Justice: Students from Chemistry teach their peers about how science can be put to work in the name of social justice. West River Stewards: Participants in the West River PLL take a moment to cheese for the camera and enjoy their awesome waders! 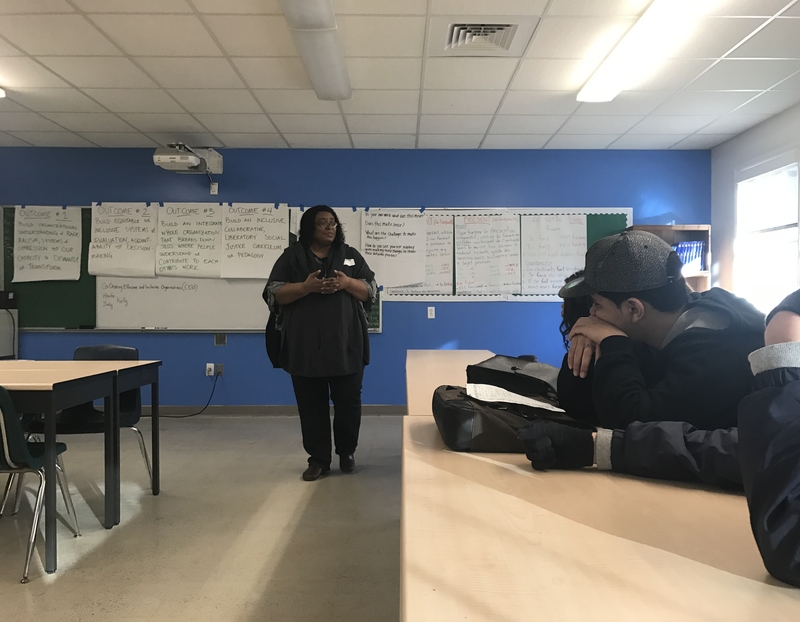 Students shared about experiences working as part of the West River Stewards Green Job Corps Crew and then lead students on an adventure into Wintergreen Brook! 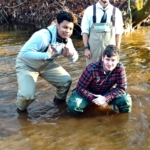 Everyone got a chance to try out waders and check out the stream restoration work that the crew has been doing in Wintergreen right across the street from our campus!. 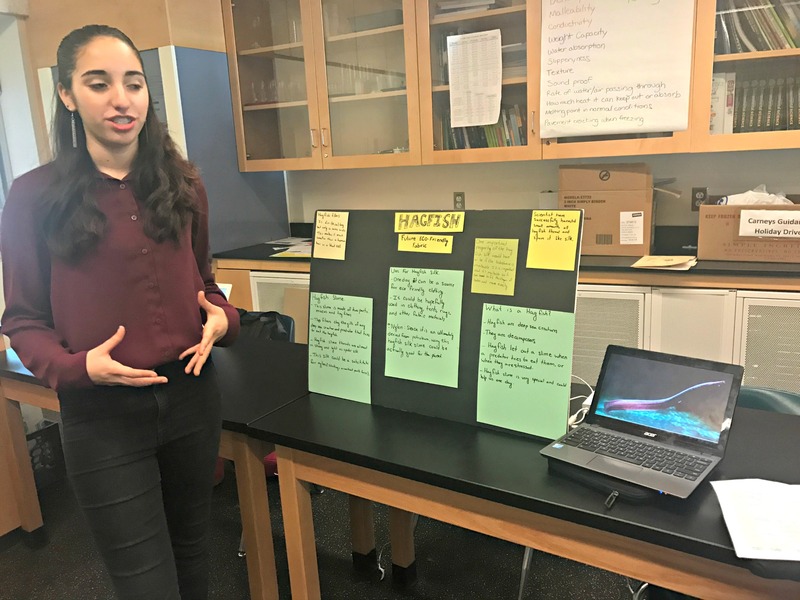 Science of Social Justice: Leesandra Mendoza explains how the amazing Hagfish creates a slime that can actually be used as an eco-friendly fabric. 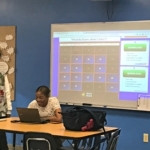 Legal Jeopardy: Students and staff who attended this PLL played Jeopardy to test their Civics knowledge with seniors, Idonia and Delesia. 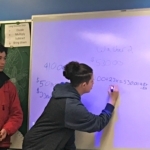 Comparison Shopping: Freshmen Kyle and Gabe use algebra with participants in this PLL to help figure out how to make practical, environmentally-friendly choices when buying something at the store. 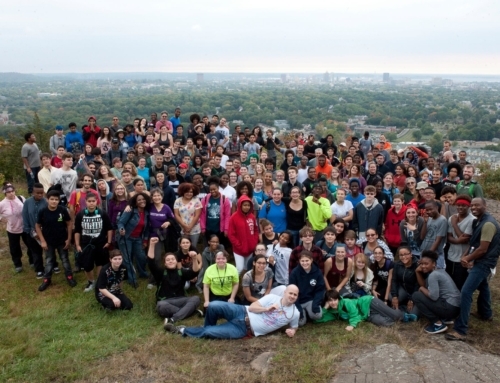 Nature Year: Nature Year participants lead this special, outdoor PLL students. 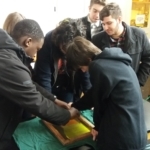 Here you can see the young Nature Year leaders introducing the session to high school students before they took them on a tour of the outdoor classroom and the Hemlock Cabin, the Nature Year homebase. 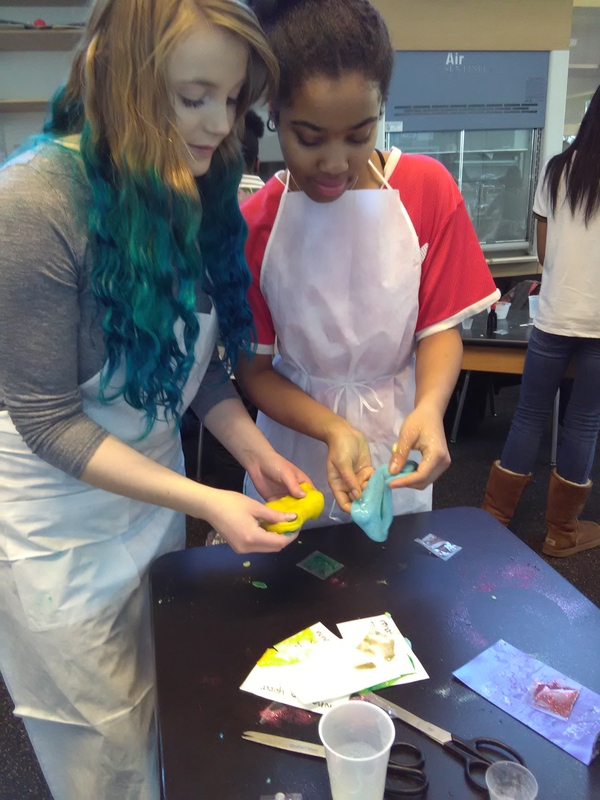 STEM After School: Students in the STEM after school program with Ms. Aguirre brought out animal specimens to demonstrate some of what they’re learning to their PLL participants and then spent the second half making colorful, gooey slime- science is fun! 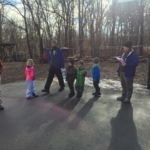 Kids Unplugged After School Program: Student counselors for our K-8 Kids Unplugged After School program brought their PLL participants on an adventure into the outdoor classroom to give students a day in the life snapshot of this class Common Ground program. 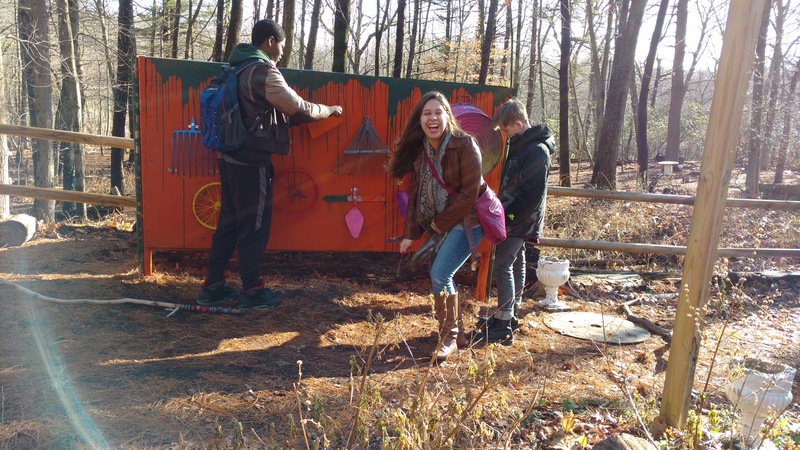 Students explored TinkerTown, romped in the outdoor classroom, and rocked out on the found objects music station! 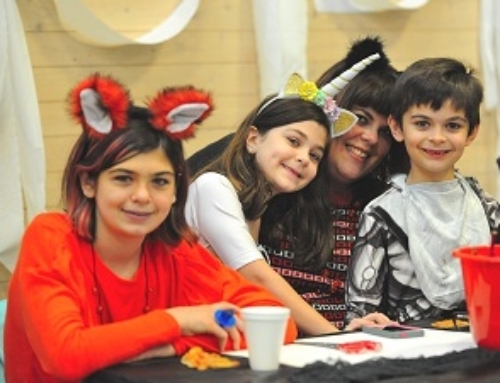 Gymnastics: Julia and Ruby have a passion for dance and gymnastics and decided to take the initiative to lead a PLL that they planned and lead themselves, independent of a class or after school program. 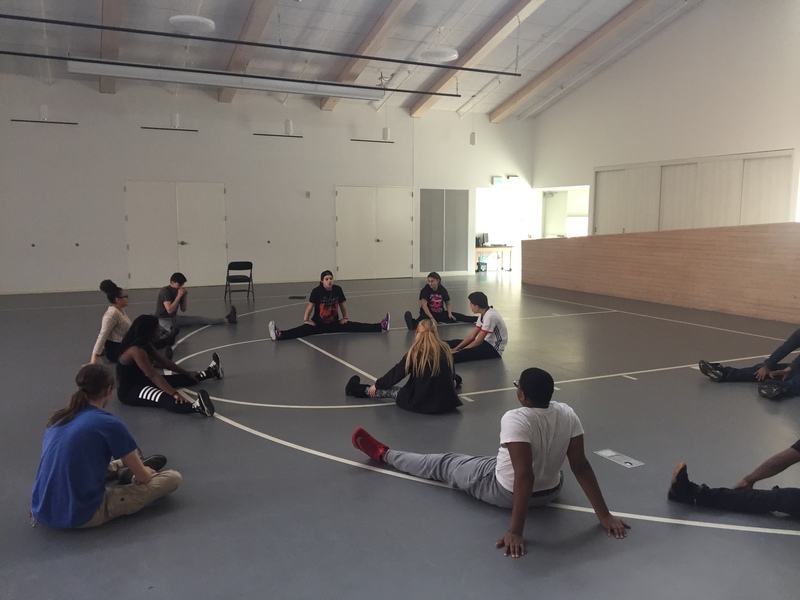 Students had a great time warming up, stretching, and trying out some new moves! 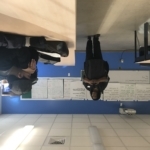 Students Lead the Change: Hanifa Washington, storyteller, artist, and educator from Co-Creating and Effective Organizations (CEIO) lead a session with students to discuss the proposed goals of our 3-year work plan to make CG a more effective and inclusive place as well as what it means to be a leader! 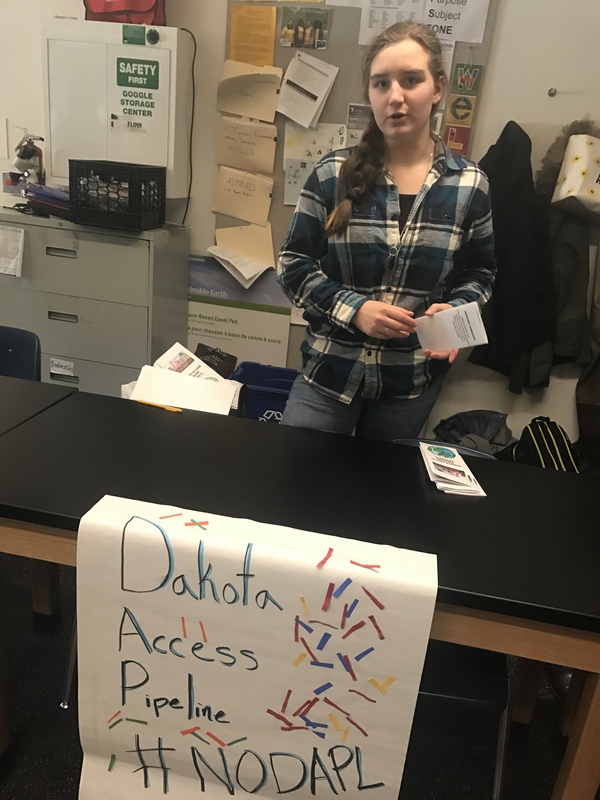 Science of Social Justice: Students studied the materials in our new green building and proposed ways in which small, eco-friendly structures could be created to help house protesters in need of shelter such as those protesting the Dakota Pipeline or for Black Lives Matter. 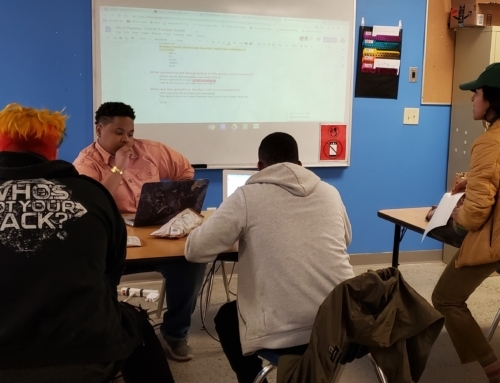 Telling Our Story: Hillary Bridges, Founder and Director of Telling Our Stories, runs a session focused on Black history not told in our schools and recruits students for her after school program that starts this semester! 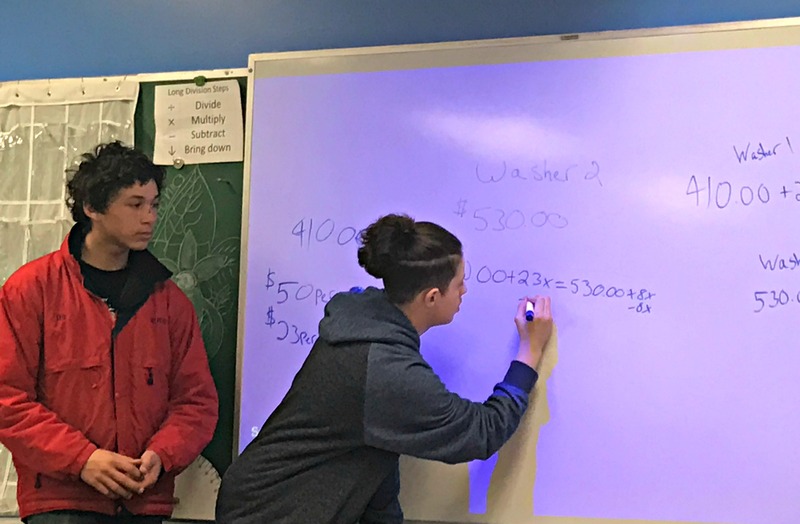 Comparison Shopping: Freshmen, Kyle and Gabe, use algebra with participants in this PLL to help figure out how to make practical, environmentally-friendly choices when buying something at the store. Site Crew: Site crew members, Brian and Ibes, teach their PLL group about Green Job Corps and prepare them to head outside and check out some of the projects they worked on including trail maintenance and erosion control; a new set of stairs that increases trail access; and the new and improved blueberry arbor. West River Stewards: Participants in the West River PLL take a moment to cheese for the camera and enjoy their awesome waders! 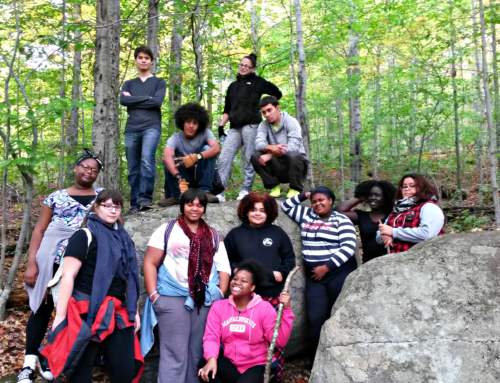 West River Stewards: Junior Ihsan Abdussabur shared about his experiences working as part of the West River Stewards Green Job Corps Crew and then lead students on an adventure into Wintergreen Brook! 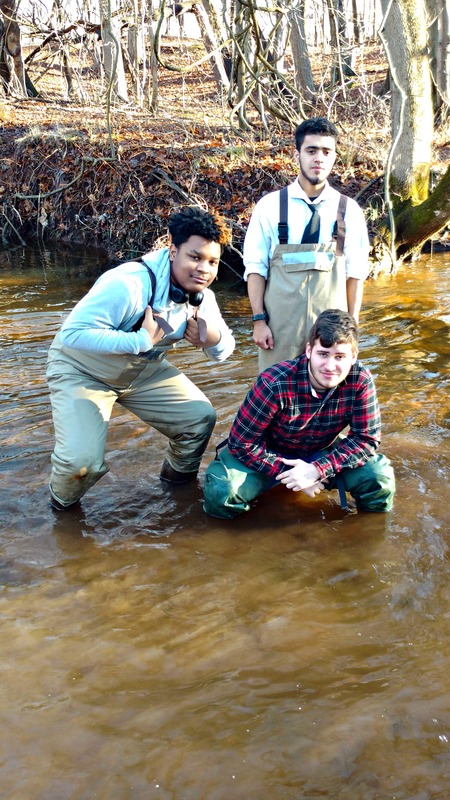 Everyone got a chance to try out waders and check out the stream restoration work that the crew has been doing in Wintergreen right across the street from our campus!